Your smile deserves the very best. If your confidence isn’t up to par due to lackluster teeth, it might be time to try teeth whitening. 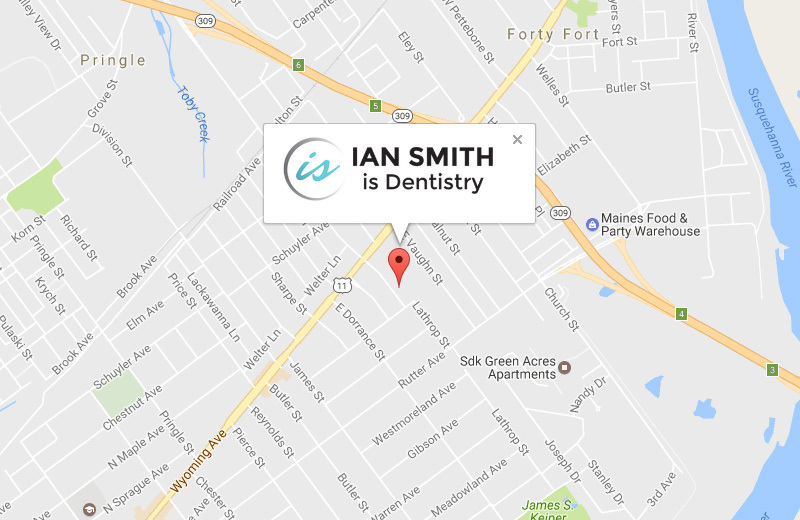 Dr. Ian Smith and the entire Kingston, PA team want to revitalize and change the look of your signature smile. A common belief is that teeth whitening procedures must be completed in-office with periodic appointments. However, Dr. Smith offers the benefit of at-home teeth whitening with Opalescence. With a few short minutes of preparation time each night, your teeth are on their way to being transformed right before your eyes. As people age, their teeth naturally begin to look darker and yellower. This common occurrence is a result of genetics, certain foods that stain, neglected oral hygiene, and some medications. 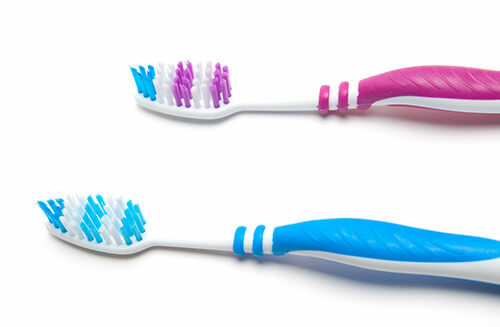 These combined factors all play a crucial role in wearing down the teeth’s enamel. For example, coffee and red wine drinkers often experience semi-permanent tooth discoloration after long periods of regular use. Habitual smokers find that the nicotine and tar in cigarettes stain the enamel of the teeth, exacerbating the yellowing effect over time. Improved Appearance – You can drastically improve the look of your smile, making it more aesthetically pleasing and healthier. Self-Confidence Boost – Having whiter teeth makes you feel good, which ultimately leads to higher confidence and self-esteem. Affordable – Teeth whitening provides an aesthetic improvement to your smile at a cost that is easy on the wallet. Fast Results – With our in-office teeth whitening procedure, Dr. Smith can have your smile upgraded in as little as one visit. Following your visit, a set of take-home trays with whitening gel will be given to maintain and further the beautiful look of your smile. Zero pressure – Teeth whitening is an entirely optional cosmetic treatment, as stained teeth have no adverse long-term effect on your oral health. There’s no pressure to undergo this process unless it’s a treatment that is meaningful and will make a difference in your life. 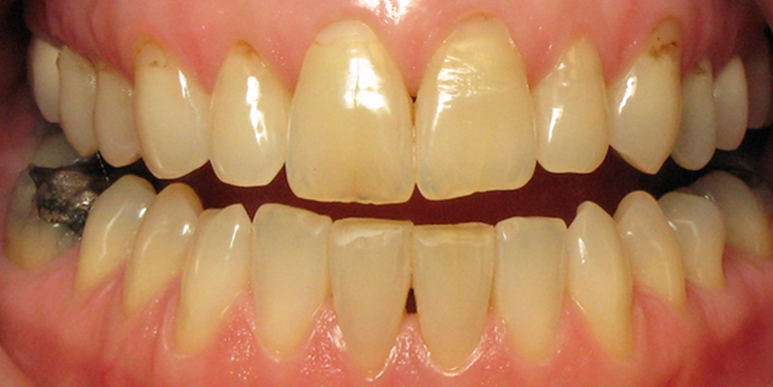 Opalescence teeth whitening is a quick and easy procedure we offer our patients. 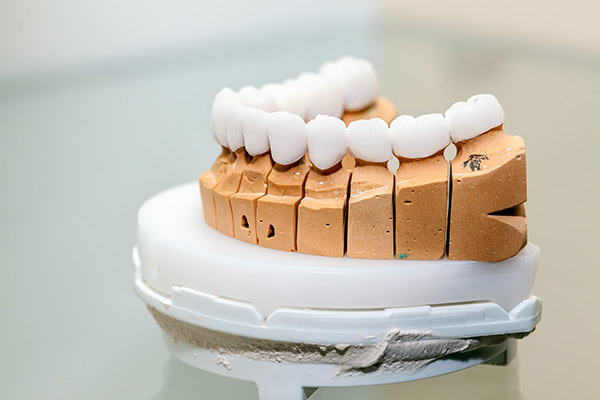 During your visit with Dr. Smith, you will be provided customized trays, which are molded to perfectly fit your teeth while also protecting your gums. The in-home procedure is simple to follow and maintains a level of integrity with the teeth whitening process as outlined by our Kingston, PA practice. If you’re more comfortable with solely choosing our in-office teeth whitening treatment, please don’t hesitate to schedule a consultation and evaluation with Dr. Smith. Our mission is to make sure your smile is dazzling and bright. Want to improve the look of your smile in a way that is safe, quick, and affordable? Then we encourage you to consider teeth whitening as your treatment of choice. To learn more, contact our office today and schedule a no-obligation consultation with Dr. Ian Smith. We look forward to speaking with you soon! "This is an outstanding dental practice. I give it a 5-star rating. Dr.Smith is an excellent dentist. The hygienists, receptionists,billing persons,et al know their jobs very well. Everyone working here is courteous and helpful. The place is spotless. Parking is no problem." "I have been a patient of Dr. Ian Smith for 4 yrs. To put how I rate his professionalism is simple. He is one of the most trust worthy and knowledgable dentists I have ever known. His mannerisms and quality of care is above 5star. His staff is equally first class." "I am very pleased with your overall practice. Your staff is very efficient, friendly and go to extra lengths to ensure that quality service is provided. I am particularly pleased with your attention to detail and concern for all aspects in your offered treatments. Your concern for patient satisfaction is very commendable and appreciated." "I have NEVER been to a more thorough dentist in my life! I am so pleased that I found Dr. Smith and his very capable staff, who give me the most thorough check-up I have ever had. He and his staff will surpass your expectations!"